Pretty pastels are all the rage. 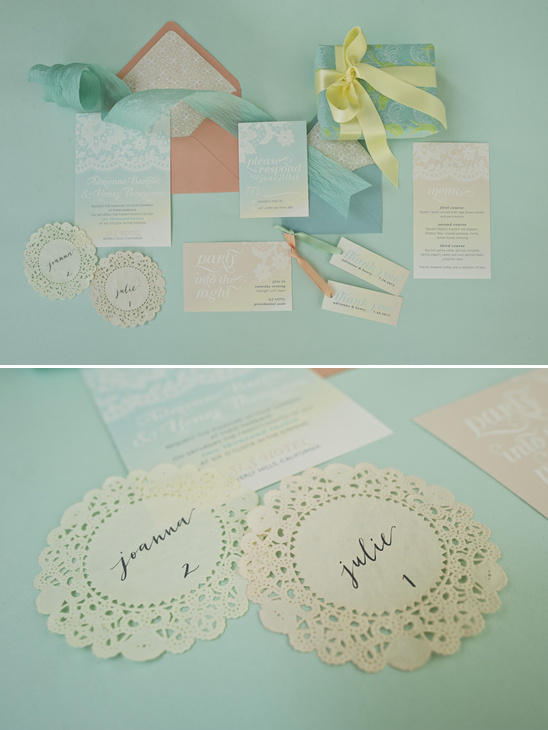 Minty greens, soft pinks and sky blues are popping up everywhere these days. Sunny Ravanbach of White Lilac Inc had a vision of for Details Details Coordinator CONFAB inspirational shoot, that was right on with this latest fashion trend. Using this season's hottest colors and the ombre rage, White Lilac designed a whimsical table set up that is truly going to inspire you. 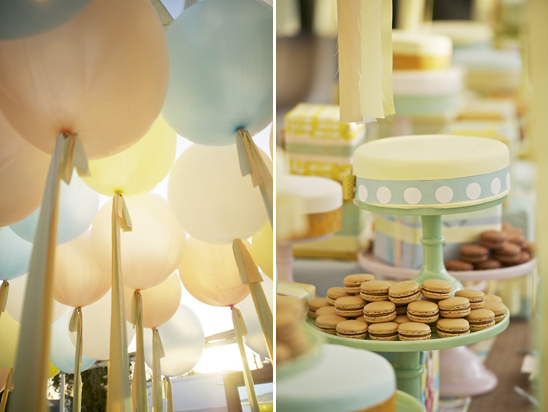 You can see more of these pastel wedding ideas in the full gallery by clicking here. After Sunny gave me her thoughts about color, I connected with Elaine from Papermade Designs who created several layouts of the invitation. 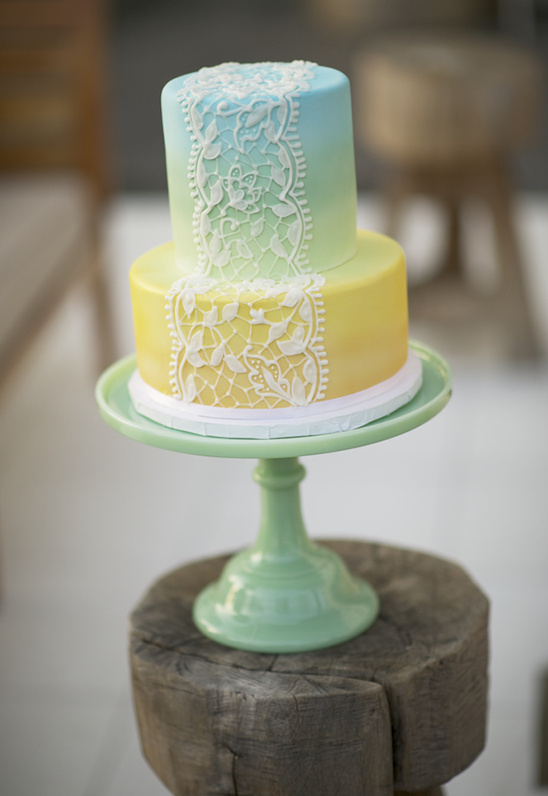 The watercolor ombre colors translated well, with the softness of pastel ranging from pale aqua to mint to butter to peach. A lace applique pattern was added to add a layer of depth to the design and was replicated on the cake and lace applique dress was also chosen. Hand dyed paper doilies with hand written names of the guests attending the seminar. Those were carefully placed on custom made napkins, with double sided fabric, one being a butter cotton eyelet. Sunny purchased Original Pucci fabric to create the custom runner, showing with ombre colors gradating down the table, along with mint green cake stands on one end of the table, and butter yellow on the other end with pale peach pink in the center. 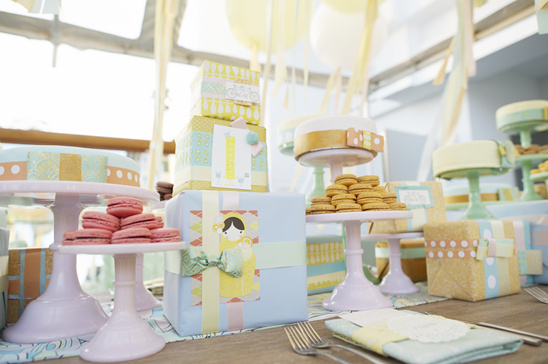 A collection of paper wrapped boxes with over a thousand macaroons and cakes intermixed. 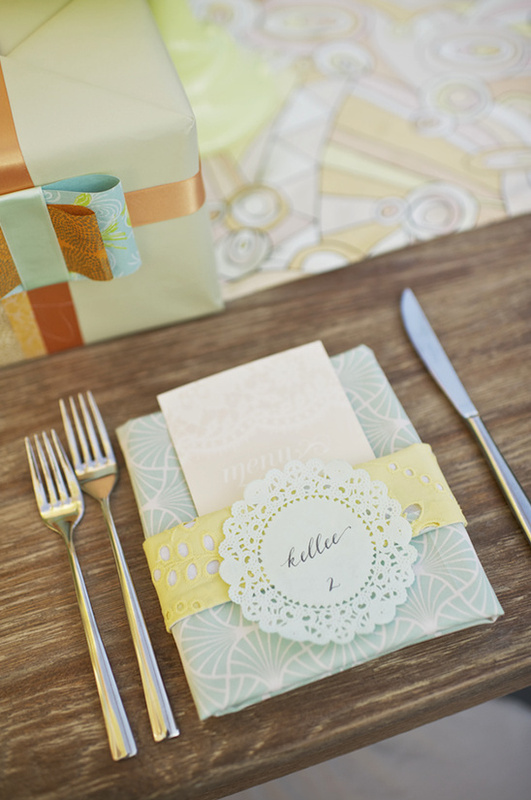 Two different patterned spearmint colored custom chair covers were created to soften the hard wood table. 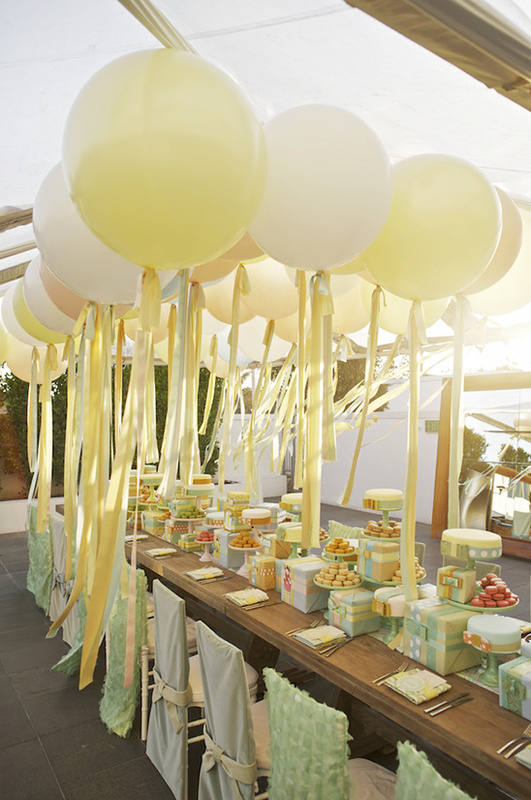 An abundant array of pastel gigantic balloons tied with silky ribbons swayed over the table while a clear white tent kept most from flying away! 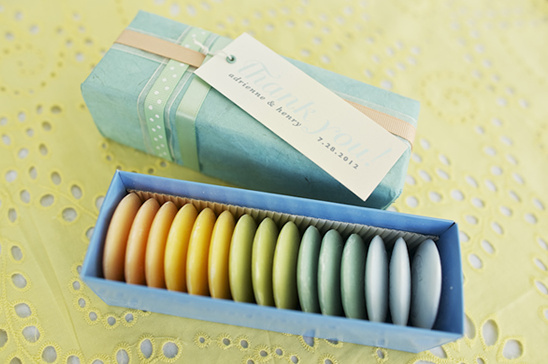 We combined Claus Porto Pastille Soaps to create the ombre effect needed when one would open their wedding favor box.